Congress created Inter Partes Review (IPR) to weed out clearly invalid patents that would not have been issued had the United States Patent and Trademark Office (USPTO) known about certain prior art. In principle, IPRs provide the public a process to file a petition to challenge a patent by presenting unknown prior art to the USPTO for consideration. Examples of this include a thesis paper located in an obscure library, a technical document not widely disseminated, a foreign patent, or even a U.S. patent that the examiner missed during examination. IPR is a valuable tool to address a subset of all patents. Some petitioners, however, treat IPRs like they are watching a football game. Like an angry fan yelling at their television set, they simply argue that the examiner’s decision is “wrong.” Unfortunately, the results of an IPR are costlier than yelling at a television on a Sunday. During a review of an official’s decision, even the National Football League (NFL) recognizes the skill of their trained officials and provides deference to their decisions. The Director’s guidance to the Patent Trial and Appeal Board (PTAB), however, does not stop at the statutory determination of whether the art was presented to the Office during examination but instead instructs the PTAB to conduct a detailed inquiry into whether the art was both presented to, and documented as being fully considered by, the examiner. The Director, for example, through Board decisions like IPR2017-00642, has identified several factors for the Board to consider in determining how to apply § 325(d). Those factors primarily focus on the extent to which the art was considered during examination, including whether the asserted art was a basis for a rejection. These factors fail to appreciate the skill of patent examiners and has fostered IPR behavior that is unhealthy to the U.S. patent system. Patent examiners are extensively trained and highly skilled in both searching prior art and applying that art during examination. One key aspect of efficient examining is to select the best representative art uncovered during the search and explain how it may influence pending claims. It should be presumed that any art presented during examination, whether cited by the examiner or applicant, has been fully considered by the examiner even if it has not been expounded upon in writing. Not applying a strong presumption that all art presented during examination has been fully considered places an undue burden on examiners to explain all their reasoning for each citation (requiring production time which they are not provided). 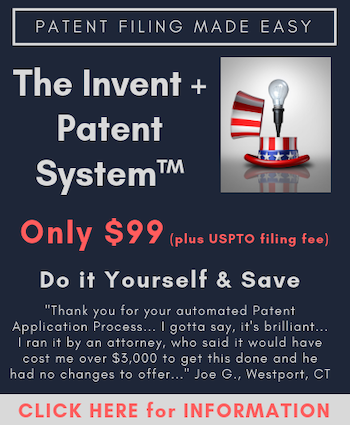 In addition, inventors should be provided a reasonable expectation that a decision to grant a patent is at least presumed valid by the USPTO over the art of record. Petitioners have exploited a lack of deference to examiners’ work product by using art that was before the Office to support challenges in IPRs. These petitions amount to nothing more than a second-guessing of the examiner’s undocumented reasoning. Based on the assumption that the examiner never considered all the references before them, it is far too easy to use previously cited references, find a couple of secondary references, and hire a technical expert to stitch together an invalidity argument. I support post grant proceedings that strengthen the U.S. patent system, defer to the work already performed by the USPTO in issuing a patent, and provide a balanced procedure to challenge patents. In keeping with these aspirations, I recommend that Director Iancu consider limiting his delegated authority in 35 U.S.C. § 325(d) to prior art that was not presented to the USPTO during examination. As such, all references in the prosecution record would be presumed to have been fully considered by the examiner and could not form any part of a post grant petition. This change would exercise the discretion provided by Congress to its fullest, preserve USPTO resources by not reconsidering the Office’s prior decisions, and restore some predictability to the U.S. patent system. There are currently 24 Comments comments. Join the discussion. Director Iancu should not only follow the soundness of this article, but he should also deny IPR petitions on any preAIA patents on Constitutional grounds alone. Accordingly, Director Iancu should use his discretion to deny any IPR petition on any issued patent having a filing/priority date existing prior to the enactment of the America Invents Act, which is when IPRs went into effect. A party who disagrees with this discretion should be the one who bears the expense of challenging Iancu in court. Unfortunately, the opposite is the current reality. And this is an injustice, because a patent should have the presumption of being valid once issued by the Patent Office. Moreover, no inventor having such preAIA patent agreed to the AIA “patent bargain” on their filing/priority date. Thus, IPRs unduly deprive preAIA inventors of their life, their liberty, and their property. Furthermore, IPRs take granted patents away from preAIA inventors for public use, and do not provide any compensation that is just when doing so. Iancu and the USPTO took an oath on their duty to the Constitution. Period. They should exercise that duty. It should be of no concern to the Office if some preAIA patents have already been invalidated by IPRs. What matters now is what the Office does moving forward. So now that the truth has been exposed, the blood will be on the Office if they continue killing the innocent: preAIA patents in IPRs. I do not “see” the same soundness of this article, Mike. The underlying basis sold to Congress was that the patents being considered (as Public Franchise types of property) in any post grant proceeding was that the initial evaluation was somehow flawed. That flaw is NOT constrained to the case that somehow a particular item of prior art had escaped notice in the evaluation period. To that extent, the first sentence in this article is NOT correct, and does not reflect either the law itself, nor the reasoning for the changes that were written INTO the law. That flaw INCLUDES the notion that even art of record was not properly evaluated. Of course, this need be reflected in a petition’s explanation of why there was a miss (and would not be “the same argument” on the record from the examiner. It would need be a better argument. This is reflected in the fact that the PTAV considers the issue AT ALL as to whether or not an item already of record was “fully considered.” To wit: it is a NEW argument to “stitch together some existing references with some new references – obstinately for a 103 type of rejection. Such though, would not be allowed if I read the second paragraph in the “When in Doubt, Defer” section. Note as well that discretion as to this decision to implement is left to the Office. One of the elephants in the room of course is what does it mean FOR an examiner to “fully consider” a reference? Currently, the mere fact that a reference shows up in a search results list constitutes “fully considered.” Fully considered DOES NOT mean that the reference was even looked at! As to the metaphor used of “During a review of an official’s decision, even the National Football League (NFL) recognizes the skill of their trained officials and provides deference to their decisions.” can be well compared to the fact that prior to instant replay, that deference was somewhat of the nature that Mr. Slifer reaches for. The plain truth of the matter – as evidenced OFTEN in instant replay is that the referees did IN FACT just get it wrong. Screaming fans ARE one of the reasons WHY the NFL did change and instituted Instant Reply. The analogy works against Mr. Slifer, and only weakly for him. The call here by the author (no matter its merits on its own), simply does not accord the full weight of the law that Congress bought into with the AIA. The choice by Congress to allow the Office to apply at the institution decision point — and before any decision on the merits the TAKING of one of the sticks in the bundle of a granted property right (be that right considered a Public franchise property right or a Private personal property right). Takings law – and the infirmity at a Constitutional level (regardless of Oil States effects) – are in play at least in part because the law as written by Congress effects such a taking at the institution decision point. While decisions by the Office as to “deferring” may cloud the infirmity, or perhaps mitigate against occurences of improper takings, what we have here is a law Constitutionally infirm ON ITS FACE. Such require no “as applied” rationale, and actions taken to HIDE the infirmity (as may be indirectly done here with the Author’s advice) would be better not made in relation to making the better Takings argument. Great advice Russ. I am shocked this common sense proposal is still not policy after 7 years of IPR. And that anti-patent PTAB lawyers are still making the institution decisions. Thank you for the comments. Not every NFL call is reviewable and those that are require clear and convincing evidence to overturn. What I am suggesting is that Congress clearly provided the discretion to the Director to not consider the same art OR ( not And) argument before the Agency. Making different arguments based on the same art is still the same art. Obviously there are different views of the goal of the AIA. To me, one of the main arguments presented to Congress was that the PTO missed the art, not that they didn’t understand the art looked at by the examiner. As such, the PTO should be used in post-grant to consider the new art. Others view it as an alternate to litigation and should be open to any challenge. I agree with Anon that ” Fully considered DOES NOT mean that the reference was even looked at”. The mere assumption that a reference listed in an IDS was considered provides ammunition for stinkers like iRobot who file over 1000 references in IDS’s, many of which have no relevance (see for example the wrapper of US8380350). Did the examiner consider them all? Not a chance. I also disagree with Slifer’s over-reliance on the competence of the examiners. I have seen instances in which the examiner clearly did not understand the technology in the art. I have also seen cases of examiners missing prior art which was in front of their noses (did the examiner assigned to 13/478428 find prior art reference 11/349836? Did not. ) I accept that covering the same prior art cited in the OA of the prosecution is bad policy for reviewing a patent, the assumption that the USPTO did a competent job in the first place is, in my opinion, way off base. Thank you for clearly setting out your point of view to which I, respectfully, disagree. Having seen applicants “dump” more than fifty (or even more than one hundred) prior art documents in an IDS (towards the end of the examination process) on the desk of the examiner, I think it is not realistic to assume that all these documents have been fully considered. Given the “production time”, mentioned by you, I am very much inclined to assume that only documents (or even only parts of documents) specifically addressed in the Office Action(s) have been fully considered. For these documents (or parts of documents), I can agree that they should not be available for an IPR, at least not with the same arguments. Also any document already on record should be available for an IPR argument if combined with a new document as otherwise IPRs would practically be limited to novelty only arguments. As long as the applicant has the unlimited right to provide documents in an IDS, I can only disagree with excluding any such documents from future IPR challenges. Try to contain yourself and not overread my position. The presence (and level) of a presumption of validity is an important stick in the bundle of property rights for the item known as a granted US patent. This exists expressly by law. The answer is better examination – not an abdication of the important stick. Anon says “the answer is better examination”. Think that is coming your way anytime soon? I don’t. The incentives by which the examiners work more or less preclude that option. So keep your eye on the backup plan. If your hypo runs true, a mild call to opposing council would work wonders. Counsel (in most instances) do not have an interest in chasing something that they know won’t hold up. You are aware how low the actual rate of litigation is, do you not? I have to disagree with the recommendation to “defer” to the examiner. If this was the EPO, the JPO, or even the Chinese Patent Office, then I would have a different view, but this is the PTO. Those other patent offices actually read and that includes the specification, whereas USPTO examiners don’t even read the specification. Therasense set forth the heighten standard for inequitable conduct after the court read why people file many, many, many references in an IDS. In one amicus brief, the author admitted to filing an 18 page IDS. Ok, lets calculate and say 10 references per page (being generous), so that’s 180 references. Now the examiner must “read” them, say 30 mins (again generous) per reference…. oh oh that is 90 hours just reading that one IDS. Not even close to the time an examiner is given to review and dispose of the entire application. Ok, not everyone drops an 18 pager… so say 20 refs (I work in the life sciences and that is very low) that’s still 10 hours of reading. I could go on, but I think I made my point. It means nothing that an examiner places a check mark on these IDSs. Want to argue that the PTO has deference from Congress? Look at the way restrictions are used. These cannot be appealed, they may be petitioned. Just read the article by David E. Boundy (2018 Patently-O Patent Law Journal) on the secret restriction memo by the PTO. Basically, under 35 USC 121 (in case you wondered where Congress played a part) the PTO can divide a single application into many, but it was required to give reasons (the MPEP has a list of things). Well, the PTO decided it did not need to give reasons so it stopped, yeah stopped. Now you get restrictions where you don’t even know where the division of claims starts and ends or even why it was divided, but you must respond unless you want the application to go abandoned. So there another reason deference to authority is not so bright. I agree with others, want less IPR and PGR, demand better examination. I have argued this for a long time. If the PTO argues it cannot be done, then why do the EPO, JPO, and SIPO do it every day? Of course, practitioners have been arguing for better examination, but it’s a lot easier to do other things than address the fundamental problem. I appreciate the different points of view. It is interesting that many comments state that an applicant may file large IDS’s and therefore deference is inappropriate. And stating that other countries (that don’t have a duty of disclosure) somehow do a better job of examination than the USPTO because they don’t get large IDS’s is odd to me. If the presumption is that the agency does not review cited art in an IDS, perhaps the time for removing the duty of disclosure is here. I still don’t see a valid rebuttal that the art cited by the examiner should not be exempt from use in post grant as authorized by Congress. If the only argument is that the examiner “missed it” then we are back to my basic premise. Allowing almost unfettered challenges provides little incentive for the agency to get it right the first time. I believe that training, supporting and trusting examiners will provide better incentive in the long run. Again, if you are thinking about this issue then my article worked. While there may be a general consensus that Patent Examination can/should be improved, I believe that Mr. Slifer has presented the proper perspective as to the deference that should be given to prior art that has been “considered” by the Examiner. If this would unleash a “gaming” of the system by Patent Prosecutors who bombard examiners with hundreds or thousands of references that cannot be realistically considered, then new rules should be put in place to address such concerns. However, what we are dealing with today (as Mr. Slifer accurately addresses in this article), is the ACTUAL gaming of the system by IPR petitioners who leverage the lack of deference given to examiners’ consideration of prior art to attack and muddy the presumption of validity that should be granted to every issued patent. A combination of Mr. Slifer’s proposal (that prior art on the record as “considered” by the examiner is given extreme deference when included in an IPR petition) along with new PTO rules defining the term “considered during examination” would seem to be the most fair path forward. And don’t forget the problem with only giving deference to what the Patent Examiner specifically checks off as considered would be unnecessarily narrow. Examiners consider a whole lot more and rule it out as not nearly close enough to warrant their time. They note what they spend real time considering, not what they have quickly ruled out as irrelevant, or not relevant enough to substantively consider. And from the dump truck of art provided by way of IDS typically examiners consider very little, owing to the fact that they consider what they find in their own search. I completely agree with the relying on examiners. If we do not stand behind the decision of patent examiners to allow patents what is the point in having a patent examination system? None. I concur 100% with Gene. Starting any argument with the perspective that, “patent examiners do not have the proper: resources / time / incentive, etc. to do their job properly, so any patent wishing to be presumed valid must go a through post-grant validation” is so mid-guides as to be absurd. Either build quality assurance into the initial manufacturing process, or scrap the factory altogether. Imagine if Ford were to crank out cars with no quality assurance process. Then, at the point of sale, the customer was told, “thanks for your call interest – we have no reason to believe this car will operate properly. We sell so few of the the actually manufactured cars that we find it faster and cheaper to just roll them out untested. Therefore, before we can deliver you the car, we must send it to an adjunct factory where our “real” QA process will occur. If it happens to pass muster, you will get your car in 3 to 18 months! I still don’t see a valid rebuttal that the art cited by the examiner should not be exempt from use in post grant as authorized by Congress. Congress may allow an action, but the implementation is not what Congress envisioned. Examiners do not read. I said this in my post. They don’t read the reference in detail to understand it, comprehend its content, and understand how to apply it beyond cursory review. Those of us who practice know this and don’t trust the examiners, but let me explain more. If examiners read the reference in detail and the PTAB judges read the same article in detail both should arrive at the same conclusion. But they do not. Prior art is about fact, not opinion or argument, it’s factual analysis. Either the reference says it or it doesn’t. If practitioners trusted examiners to read and apply references, then IPRs would disappear as people would rush to file third party submissions. As this website has pointed out, few do it, and the reason is clear. Even when cited to the examiner in table detail comparing each claim element to published patent claims, examiners don’t get it right. But now, as the author wants, the patent gets deference from the cited art. Who gives away their best hand to the examiner… no one. I remember that people questioned why ex parte reexamination was not often used to invalidate patents. Well, because that meant entrusting the examiner with your best art, instead of presenting it yourself… in court. Examiners do not read the references, they do not read the specification, and they do not read the case law cited against them even when you provide it. So why do people believe examiners should be given deference? And before I leave, “removing the duty of disclosure?” Really? You realize that the duty is not just about listing references, but anything material to the patentability of the claims. This information includes contradicting data, office actions from abroad rejecting your claims (even if an examiner doesn’t read them), and other information not contained in a reference. I agree with your comment except the part about the importance of the IDS. First, the premise that an applicant should submit prior art simply removes the incentive to look for prior art. Regarding office actions from abroad – even a less than competent examiner should be able to find them with a click of the mouse (look, if I can find them in less than 60 seconds, why does an examiner have to wait for me to submit an IDS?). And who gets to decide what is material and what isn’t? If I disagree with the examiners combination of references in a 103 rejections, than obviously I didn’t consider the reference to be material, did I? And, as most of the commentators agree, the examiner doesn’t even read the reference, so why bother dumping it on their desk? Gene – in your comment you mention standing behind the decision of the examiner to allow patents; I’ve seen some of your writing disparaging the examiners decisions to refuse patents on the basis of inappropriate 101 rejections and 103 combinations of references, it doesn’t look like you are standing behind the examiners all the way. I’ll end with my opinion that if all you can do in an IPR is regurgitate the same references and arguments from the examiners OAs, you are doing it wrong. Opposing counsel thinks, “we just invoiced our client 25 grand to obtain a patent, we’ll just fire off a quick email telling them not to try and enforce it. ” Never occurs to opposing council that a legal battle between their client and yours might be a business opportunity for a law office. In my expensive experience, that’s not how it works. My reply was as from the party being told “hey, you infringe our patent.” – NOT the party asserting the patent. Where I live, one party’s attorney talks to the other party’s attorney. Then each attorney translates the missive to the respective CEO. The CEO prefers listening to the outside counsel rather than the in-house legal because outside counsel are more expensive, therefore their advice is deemed more valuable. (Which it may be, but may not be in the CEO’s best interest). How do you think our company got to the PTAB? Because someone said “bring it on” instead of “let it go”. A bunch of attorneys did well out of it. It would make a lot of sense to limit the prior art that can be cited in an IPR. Additionally, if the same art is permitted to be cited than the petition should a reason why it was not cited correctly. Under KSR, the PTAB can just invalidate pretty much any claim. A lot of discretion is built into KSR, so if the PTAB reconsiders the same arguments that were present in an OA, they can easily just hold the claims obvious. I cannot make sense out of your reply in relation to the current conversation. So what if a CEO prefers inside or outside counsel? That has nothing to do with our conversation. Again, if you meant to ask a different question than the one that you asked and that I responded to, please feel free to ask that different question. Some of this concern is generated by unfounded allegations that most IPRs merely re-hash the same prior art already considered by the examiner. I have never seen one, and it would be foolish to file an IPR petition with no more and better art.